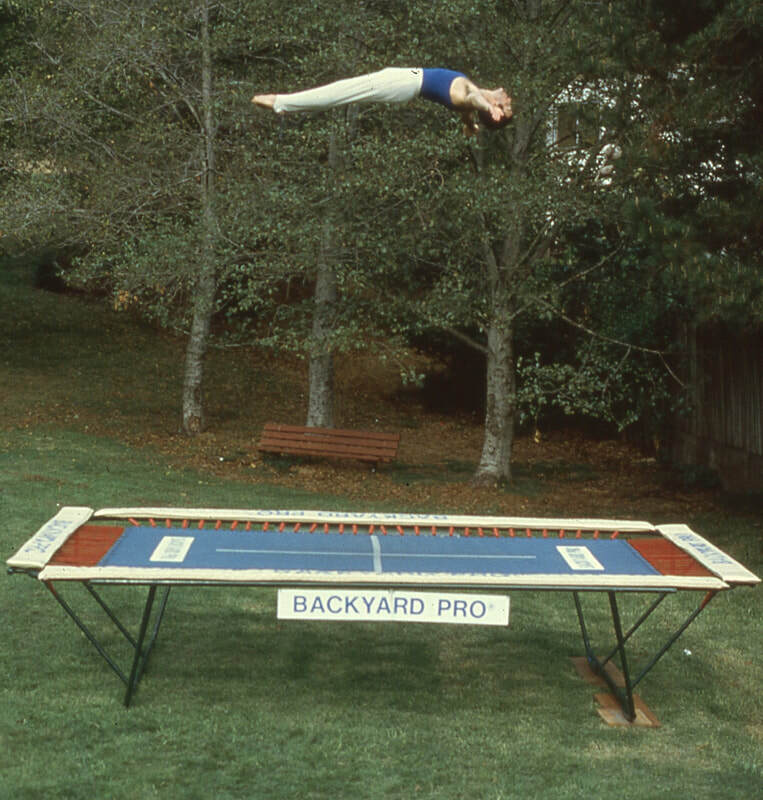 Backyard Pro® is the BEST home trampoline you can BUY! From quality family fun & recreation to elite world class competition performance & sports training, the Backyard Pro® does it all. 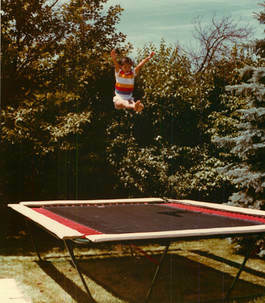 We are the Oldest and Longest Established Trampoline Company in America with the Best Safety Record in the Industry. ​by Olympic, World, USA, and All-American Champions & acclaimed Professional Circus Acts! 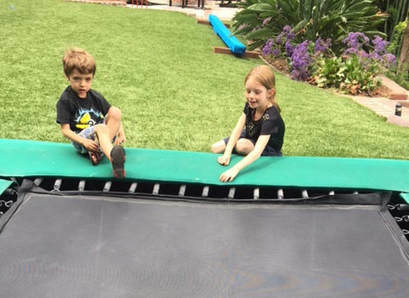 Every Backyard Pro® trampoline can be used either aboveground (as shown directly above) or at ground level (as shown elsewhere on this page). It's patented design easily converts to either mode. 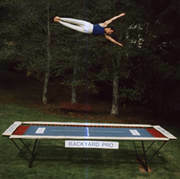 A World Trampoline Champion shows height & artistry on his own personal Backyard Pro® trampoline. 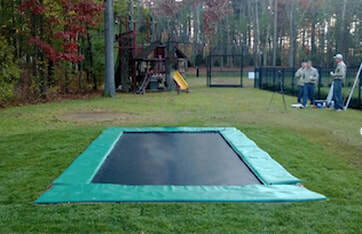 Every Backyard Pro® trampoline can be used either at ground level (as shown directly above) or above ground (as shown elsewhere on this page). It's patented design easily converts to either mode. You always have both above ground and ground level options available! CLICK HERE TO EMAIL BACKYARD PRO FOR OUR FULL PRICE LIST & SUPER HIGH PERFORMANCE INFORMATION. We respond to your inquiry ONCE but sometimes with a few different and relevant emails sent together. We do NOT email you again unless you contact us with further questions. We do NOT send daily or weekly, etc. marketing emails. We NEVER sell our email addresses to marketing companies. Call our NEW Customer Service number at 630-377-7267. One of our knowledgable representatives will be pleased to answer your questions. 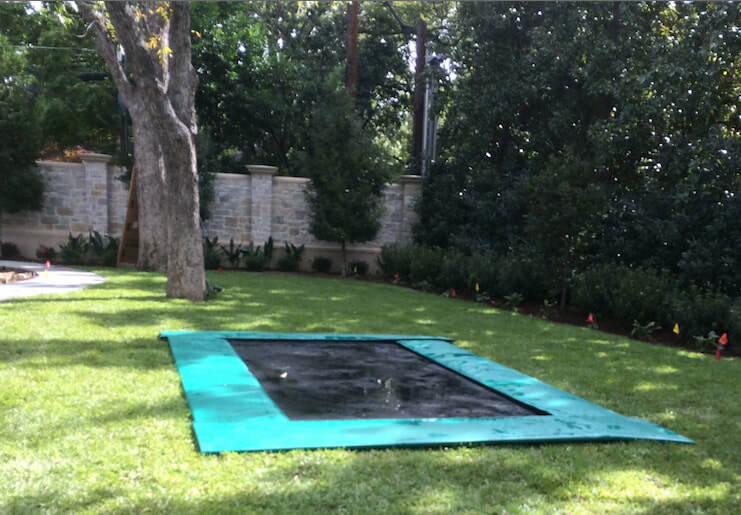 Watch this short movie to learn more about Backyard Pro trampolining. 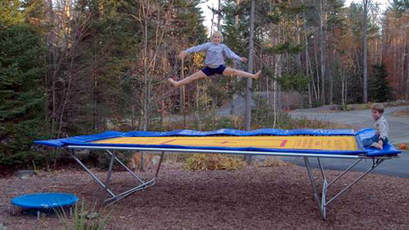 Built Home Trampoline Available with the BEST SAFETY RECORD In The Industry! 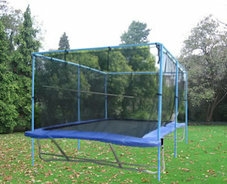 We offer Safer & Better trampolines to fit most any budget. As shown in the photos directly above, the Backyard Pro uses spring anchor bars instead of holes to attach the spring to the frame thereby achieving a stronger frame, longer spring life, and a safer and much improved livelier and higher bounce with better control & safer landings. This is also important for outside use--especially at ground level. Water enters these spring holes and the frame begins to rust from the inside out. Over time this weakens the frame rendering it unusable and unsafe. With the Backyard Pro the frame has no holes and is sealed from any water entrance. In our Free Book you can download, there is a letter from an owner who bought his Backyard Pro in 1977 and it is is still going strong today. We also offer an optional enclosure accessory although many Backyard Pro owners do not need or want it. "Sports Training" is a trademark of Astraea, Inc. & BYP/TrS Co. All rights reserved. This entire web site including all text, images, movies and other graphics Copyright © 1997-2014 Astraea, Inc. & BYP/TrS Co. All rights reserved.